There are few things I love more than a book list, so here’s one that’s near and dear to my heart: my favorite books about addiction and sobriety. It’s a mix of memoirs, self-help, and psychological/scientific study books about addiction and sobriety. Note: there are a mix of recovery paths represented in this list (read: AA, but not only AA), which is important to me. Long before I got sober, I read about sobriety and addiction. The stories helped me look at my own story before I was ready. Some, long before. I know there are dozens of other fantastic books out there. And I am of the mind that we can never have enough of these stories—the more, the better—because even though they typically follow the same line, they are all as unique as we are. There are a few I have on my list to read once I’m done with my own book: My Fair Junkie by Amy Dresner, The Recovering by Leslie Jameson, and I’m Just Happy to Be Here by Janelle Hanchett. Feel free to add your own suggestions in the comments. When I first read this book over ten years ago it felt like I was reading my own journal (if my journal was written in incredibly eloquent prose). I almost wanted to snap it shut, but instead finished it in one day and have read it at least three more times since. Knapp so perfectly describes the emotional landscape of addiction, and as a literary study it’s as perfect a memoir as I’ve ever read. I often think about what it took to publish this when she did, in the 90’s, as a female and a journalist in Boston. There were very few female voices on addiction then and I learned through reading her best friend, Gail Caldwell’s memoir, Let’s Take The Long Way Home (which I also highly recommend), that Knapp was a deeply private person—making it all the more admirable that she wrote and published this book. Mary Karr’s memoir, set in Boston (Cambridge), chronicles her path toward sobriety with crackling honesty and wry humor as she effectively connects her family dynamics as a child living in a chaotic home to her adult state of perpetual chaos. As a mother, I relate to her story so deeply—our children were the same young age when we stopped drinking. She’s an iconic, witty literary voice, an engrossing storyteller, and this book too is a great study in memoir. Sarah’s writing is sharp and relatable; a more recent, modern voice in the recovery space. So many of us look at “blacking out” as benign, or normal—an indicator of a “successful” night of drinking. 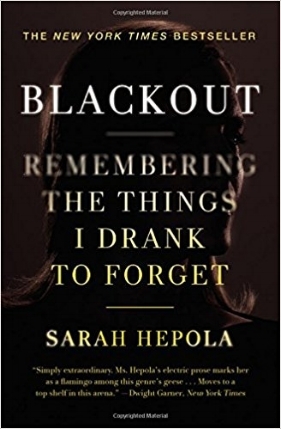 In Blackout, Sarah clearly explains why there’s nothing benign about it and describes what is actually happening to the brain when we reach that point of alcohol-induced amnesia. I love her perspective on drinking as an act of counter-feminism—that in reality it actually dismantles our power, our pride, and our dignity as women, though we intended the opposite. 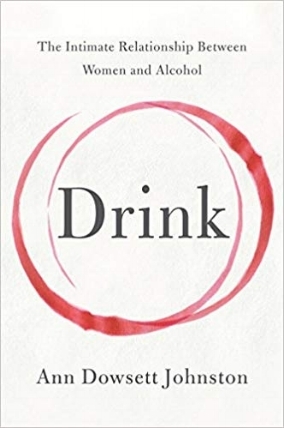 Ann Dowsett Johnston brilliantly weaves her own story of recovery with in-depth research on the alarming rise of risky drinking among women. The marketing strategies employed to sell booze to women are as alarming as the skyrocketing number of women who qualify as having alcohol use disorders. Ann’s book is such a unique and insightful combination of personal experience and scientific research. Whenever I had too much to drink, this was my mantra: "I'm fine." Teetering across pink granite in lake country, late at night: "I'm fine." Tossing off my high heels, after a gala awards night: "I'm fine." It was easy to say without slurring, and it was defiant. It never changed. Except I wasn't fine. Not even close. Dry stunned me over ten years ago, long before I was ready to get sober. I think it is Burroughs’ writing at its very best: dry, funny, sarcastic, and somehow also totally heartwarming. Another one I’ve read several times. What I love about Catherine’s book (other than her writing is whip-smart and so funny) is how she shines a light on the JOY that comes into our lives through sobriety. She talks about the same fears I had: being boring, never finding love again, work, dating, finding a path outside of AA. 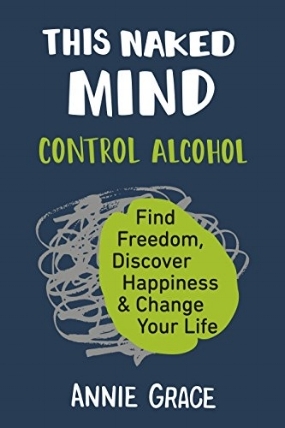 Through this book, Catherine shows just how big and freeing life can be when you remove alcohol from the equation. Witty, relatable, full of insight, statistics, and practical resources. Annie’s book is so important (and she’s a wonderful human to boot). She brilliantly weaves psychological, neurological, cultural, social and industry factors with her own journey. Without scare tactics, pain, or rules, she offers a strategy to give you freedom from alcohol. By addressing causes rather than symptoms, it is framed as a permanent solution rather than lifetime struggle. It removes the psychological dependence; allowing you to easily drink less (or stop drinking entirely). I call this the anti-self-help self-help book (and I got more from it than 98% of the actual self-help books I’ve read). It became the tipping point for me in getting sober. The book is a collection of "How To" essays: how to lose someone you love, how to shatter shame (paramount in recovery), how to be fat, and my favorite: how to finish your drink. He got a good amount of criticism for writing a self-help book. People wondered about his "qualifications" and his "arrogance." But that's precisely why I love it. And honestly, who is better qualified to write a self-help book than a gay, recovered addict, and survivor of sexual abuse? "All improvements, transformations, achievements, liberations; everything you want to change about yourself and your life; everything you want to make happen, any obstacle you want to overcome, any crisis you must survive-- the prerequisite is being able to allow yourself to feel whatever it is you feel and not pretend to feel something you don't." The trauma bible. Understanding the correlation between addiction and trauma has been a transformative part of my own recovery. 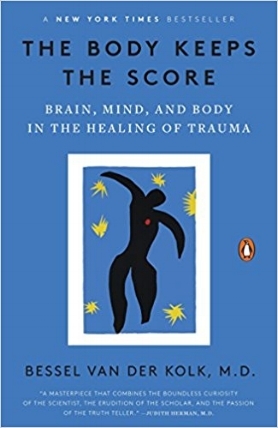 This book helps us begin to understand how both our mind and our body hold on to trauma for years, and even decades, after the event occurs. Nearly every aspect of trauma, the associated neuroscience, extensive research, interventions, and treatment approaches for healing trauma… it’s all here. I read this book before I became a parent and was floored, but have thought about it even more since. It is the heartbreaking and astute account of Sheff’s experience of his son, Nic’s, addiction and eventual recovery. He viscerally paints the picture of the hope-tainted despair, anguish, and havoc that addiction wreaks on an entire family. The first time I stumbled on Kristi’s writing, I fell in love (and immediately stalked her to ask if we could be friends). NGCCFT is her first book and it’s a gem: a collection of essays about drinking and not drinking, yes, but even more about becoming—as a woman, a partner in marriage, transitioning into mid-life, navigating the tech industry. She’s smart, witty, and I can’t wait to see many more books from her.